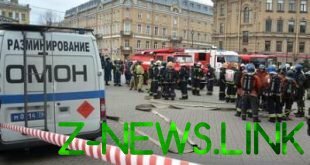 In Russia, in Vladimir region, in the bus, which was carrying journalists, there was a fire. About it reported in a press-service of head Department of EMERCOM of Russia in the region. As noted, fired up the engine compartment of the bus the GROOVE in which the journalists and the representatives of the MES were directed to verify compliance with fire safety to local shopping centers. The incident occurred on Wednesday afternoon near the bus stop “Hotel “Zarya”. “Journalists and the representative of the Ministry of emergency situations left today on the bus, which belonged to the Department, to verify compliance with the requirements of fire safety in shopping centres. Soon, the cabin came the smoke and then the fire in the engine compartment. The driver promptly evacuated passengers and put out the fire. None of the 12 passengers on the bus were not injured,” – said the representative of the MOE. The journalists were provided with another bus, which they continued to RAID the shopping malls.